Your people know what’s not working well… but are they telling anyone? Jamie Urquidi, global supply chain manager with Parsable, and Hank Ward, SEE president, share their expert perspectives during the Smart Industry webinar “3 Secrets to Increase the Effectiveness of Maintenance Teams.” Here they provide a preview of their presentation, touching on operational improvements, non-productive time and quick wins with digital maintenance. Smart Industry: Provide one secret to increase the effectiveness of a maintenance team. activities connect with your equipment reliability and uptime. Sometimes, we have a tendency to fill out our preventive-maintenance time to feel that we are busy fixing equipment and don’t really sit down and analyze if that is the best use of our team’s time and expertise. We can find ourselves making huge investments in time, money and people in maintenance, but wind up with a not-so-fruitful impact on reliability. Hank: You need to get everyone talking. Your people know what’s not working well… but are they telling anyone? It’s become quite common to hear leaders claim “people are our greatest asset,” without providing the insight that inspired the comment. The fact is, people are the greatest asset in every organization, but only if they operate in a culture where their knowledge, ideas, experience and expertise are valued and processes exist to translate those things into action. When people feel they are respected and that sharing what they know is appreciated and acted upon, they care and they share. Smart Industry: What are the most common, largest operational-improvement opportunities missed by manufacturers? Hank: We make sub-optimal decisions every day, not because information doesn’t exist, but because we’re not ‘flowing’ it to the individuals who actually need it. In evaluating why a system isn’t operating optimally, the first two questions to ask yourself are: when are critical decisions being made and who is making them? It’s no secret that the highest-performing organizations put the decision making as close to the value stream as possible. People closest to value creation typically know best what is happening and what needs to happen. And because they are closest, they can respond soonest. But how often do we see the most important decisions being made in the office, by someone utilizing old information? 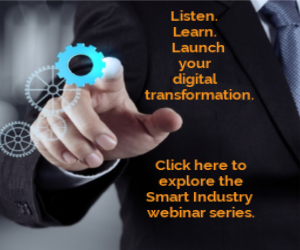 Smart Industry: What’s an example of a quick win with digital maintenance execution? Jaime: You will actually 'know and see' what activities are being done and how they are being executed. Then you can start analyzing your procedures, sequences and effectiveness of each activity to generate focused improvements in Who, What, When, Where, Why and How maintenance work is being done and understand if that has the highest impact on your reliability and cost. Hank: The creation of essential information. An engaged equipment owner can be a wealth of information when diagnosing what might be causing an equipment issue. The trouble is, they’re often left out of the conversation. The engaged equipment owner knows the sights, sounds, smells and feel of their equipment when its running at peak condition, and when it’s not. But as standard practice, does this insight find its way into the technician’s troubleshooting? Knowing what’s normal for a piece of equipment is a window into what ‘abnormal’ looks like, sounds like, feels like or smells like, and represents the physical evidence of eminent failure. Talk to the equipment owner. Smart Industry: Are manufacturing leaders aware of the true damage of non-productive time? Jaime: I think that we are all aware that it exists, but we are not capable of seeing it in such a detail that we can work with it and eliminate it. We normally are able to see big blocks of uptime and downtime but when we try to go deeper and break it into smaller pieces of data that can lead to specific phenomena, we struggle. If we were able to 'see' more detailed data on the interaction between operators, machines, maintenance and quality, then we would be able to focus on eliminating losses which are smaller but additive. This mode will generate an environment of continuously eliminating small problems that quickly add up to huge improvements. If you cannot see the details, you cannot find the root cause and eliminate your loss. Hank: Many industries today operate at least some of their factories at something less than full capacity. Even if a leader is aware of an OEE result that indicates suboptimal efficiency, the tendency is to be a little too comfortable with the knowledge that you have the equipment availability to make up sagging production numbers. This leads to a visual of ‘everyone is busy’ and ‘we’re making our production numbers.’ The problem is, this leads to a culture of ‘everyone is busy working inefficiently.’ This becomes an incredibly difficult paradigm to change. Working hard is rarely working smart…leaders need to be able to know the difference. Smart Industry: What’s the key to marrying new technology and traditional operational practices? Jaime: Don’t underestimate your line workers and maintenance technicians. They also live in a digital world and they can make those ends meet. There is a big paradigm that line workers will resist new ways of doing things, but if you are able to show them how they can improve their performance and facilitate their job through technology, you will be surprised on the pace of your digital journey. I think that the work environment on the shop floor has not changed enough since the 1970’s and it is time to bring technology to the diskless workforce. They also live in a digital and technological world; they deserve the shop floor to also be digitized. Another benefit of using new technology is that you can create a 'learning environment' within your organization as you capture all the knowledge in one place and then use it to feedback on how things are being executed. As adults, we learn in many different ways; technology can enable you to teach your teams in a more visual, kinesthetic and auditory manner. You can help your teams learn faster and more effectively. Technology can make 'Just in Time Training' possible in your organization. Smart Industry: How is digital maintenance execution applied to the world of brewing? What are unique challenges in your world? Hank: The world of brewing is no different. Processes include batch, packaging, palletizing, shipping, utilities, water/waste water treatment and container manufacturing. What has been different is to see an incredible growth industry (where you could sell every drop you could produce) evolve into a declining industry (where you’re fighting to produce every drop). What that means to those that survived is an incredible shift to continuous improvement. This means the slaughtering of ‘sacred cows,’ an evolving definition of ‘best practice’ and a never-ending struggle to improve everything we do. What eventually must happen in this scenario is that people come to realize that conversations matter. Processes don’t work if information doesn’t flow and people aren’t sharing. Operations and maintenance teams are having conversations every day that never happened 10 years ago. People are realizing that everyone owns system, process and equipment reliability. Want more with Jamie and Hank? Click here to join the webinar. And get your questions ready!